Innovative combination of ergonomic weightlifting gloves and strong wrist wraps – for athletes who only settles for the best! The Pro Wristwrap Gloves are equipped with a reinforced leather constructed palm with foam padding for a good grip and a long durability. Multi flex elastic mesh on the back of the hand, on the thumbs and between the fingers offers a great breathability during intense workouts. They feature an athletic half finger design which enables great contact against all forms of gym equipment. Foam padding – phenomenal grip! ½ finger design – good contact against all gym equipment! Material: 70% alanine cowhide leather and 30% multi mesh polyester. Lining in 100% polyester. 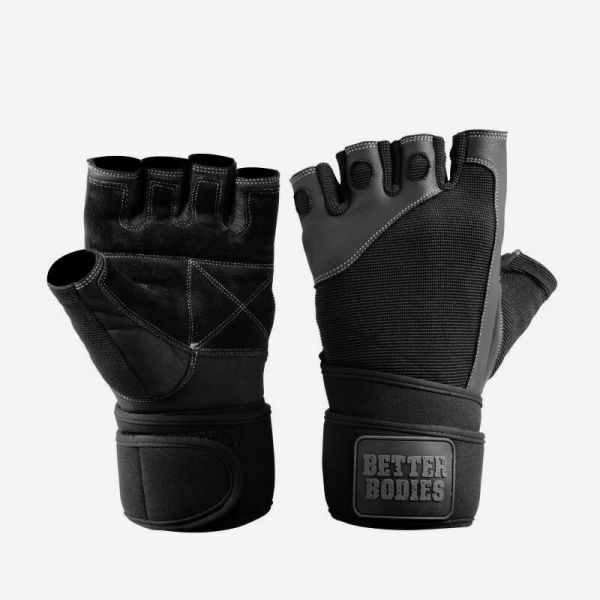 Weiterführende Links zu "Better Bodies - Pro Wristwrap Gloves, schwarz"
Kundenbewertungen für "Better Bodies - Pro Wristwrap Gloves, schwarz"